Indus civilization food: How scientists are figuring out what curry was like 4,500 years ago. It turns out we’ve been eating the spiced dish for a lot longer than anyone ever imagined. Indian chicken jalfrezi curry. 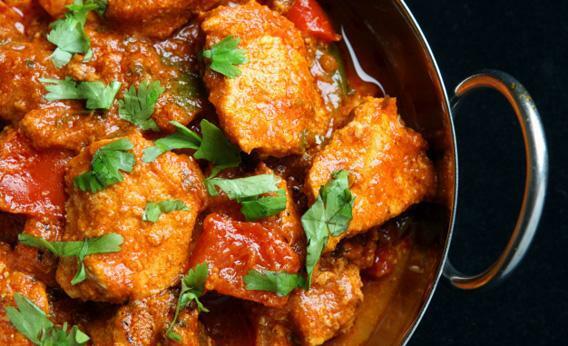 The original curry predates Europeans’ presence in India by about 4,000 years. What is curry? Today, the word describes a bewildering number of spicy vegetable and meat stews from places as far-flung as the Indian subcontinent, the South Pacific, and the Caribbean Islands. There is little agreement about what actually constitutes a curry. And, until recently, how and when curry first appeared was a culinary mystery as well. The term likely derives from kari, the word for sauce in Tamil, a South-Indian language. Perplexed by that region’s wide variety of savory dishes, 17th-century British traders lumped them all under the term curry. A curry, as the Brits defined it, might be a mélange of onion, ginger, turmeric, garlic, pepper, chilies, coriander, cumin, and other spices cooked with shellfish, meat, or vegetables. But the original curry predates Europeans’ presence in India by about 4,000 years. Villagers living at the height of the Indus civilization used three key curry ingredients—ginger, garlic, and turmeric—in their cooking. This proto-curry, in fact, was eaten long before Arab, Chinese, Indian, and European traders plied the oceans in the past thousand years. You may be wondering how on earth anyone can know what people were cooking 4,500 years ago. While the ancients left behind plenty of broken pots and mud-brick house foundations, they generally didn’t leave us their recipes. And foodstuffs, unlike pots, rapidly decay. But thanks to technological advances, scientists can identify minute quantities of plant remains left behind by meals cooked thousands of years ago. It is no easy task; researchers must gather crumbling skeletons and find ancient dirty dishes before using powerful laboratory microscopes to pinpoint the ingredients of ancient meals. But the effort is paying off, in the form of evidence that curry may be far, far older than previously thought. The Indus society began to flourish around the same time that the ancient Egyptians built their pyramids and Mesopotamians constructed the first great cities in today’s Iraq. Though less well known than its more famous cousins to the West, the Indus civilization boasted a half-dozen large and carefully planned urban centers with sophisticated water and sewage systems unmatched until Roman times. During its peak, between 2500 B.C. and 1800 B.C., the Indus dominated a land area larger than either ancient Egypt or Mesopotamia, covering much of today’s Pakistan and most of western India, as far west as the Iranian coast, as far north as Afghanistan, and as far east as the suburbs of New Delhi. But unlike the hieroglyphic and cuneiform writing of the Egyptian and Mesopotamian scribes, the strange symbols left behind by their Indus counterparts has not yet been deciphered by today’s scholars. Deciphering their food traditions has, until recently, been equally challenging. Working with other Indian and American archaeologists, the two applied new methods for pinpointing the elusive remains of spices that don’t show up in flotation tanks. Instead of analyzing dirt from Indus kitchens, they collected cooking pots from the ancient town of Farmana, a modest settlement that prospered in the late third millennium B.C. (Today, it’s a two-hour drive west of Delhi.) They also obtained human teeth from the nearby cemetery from the same era. Back in their lab, Kashyap used what is known as starch grain analysis. Starch is the main way that plants store energy, and tiny amounts of it can remain long after the plant itself has deteriorated. If a plant was heated—cooked in one of the tandoori-style ovens often found at Indus sites, for example—then its tiny microscopic remains can be identified, since each plant species leaves its own specific molecular signature. To a layperson peering through a microscope, those remains look like random blobs. But to a careful researcher, they tell the story of what a cook dropped into the dinner pot 4,500 years ago. Examining the human teeth and the residue from the cooking pots, Kashyap spotted the telltale signs of turmeric and ginger, two key ingredients, even today, of a typical curry. This marked the first time researchers had found unmistakable traces of the spices in the Indus civilization. Wanting to be sure, she and Weber took to their kitchens in Vancouver, Washington. “We got traditional recipes, cooked dishes, then examined the residues to see how the structures broke down,” Weber recalls. The results matched what they had unearthed in the field. “Then we knew we had the oldest record of ginger and turmeric.” Dated to between 2500 and 2200 B.C., the finds are the first time either spice has been identified in the Indus. They also found a carbonized clove of garlic, a plant that was used in this era by cooks from Egypt to China. They found additional supporting evidence of ginger and turmeric use on ancient cow teeth unearthed in Harappa, one of the largest Indus cities, located in Pakistan west of the border with India. Why would cattle be eating curry-style dishes? Weber notes that in the region today, people often place leftovers outside their homes for wandering cows to munch on. There are numerous ancient Indus images of cattle on terra-cotta seals, suggesting that during Indus times, people may have regarded cows as sacred, as Hindus do today. The Harappan ruins also contain evidence of domesticated chickens, which were likely cooked in those tandoori-style ovens and eaten. And what would a proto-curry be without a side of rice? Many archaeologists once thought that Indus peoples were restricted to a few grains like wheat and barley. But Cambridge University archaeologist Jennifer Bates, part of a joint Indian-U.K. team, has been examining the relative abundance of various crops at two village sites near today’s Masudpur, also west of Delhi. She found that villagers cultivated a wide array of crops, including rice, lentils, and mung beans. Finding significant quantities of rice was a particular surprise, since the grain was long thought to have arrived only at the end of the Indus civilization. In fact, inhabitants of one village appear to have preferred rice to wheat and barley (though millet was their favorite crop).